This entry was posted in Blessings, Life, Memories, Nostalgia, Summer, Uncategorized and tagged Aleppey, Butterflies, Flowers, Kerala, Nature, Photography, photos, Plants, Quotes. Bookmark the permalink. 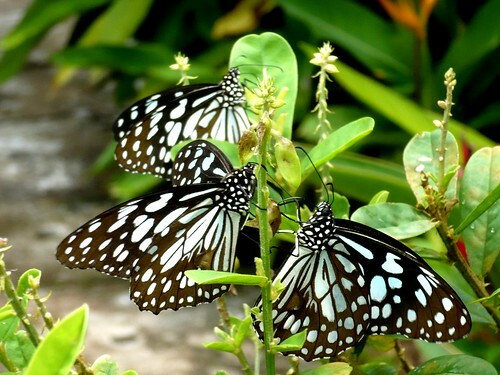 Beautiful captured butterflies. My favourite picture is the last one where one of the butterflies are on the verge of flying away. Lovely. By the way Haruki Murakami is one of the greatest contemporary writers in my mind. Thank you! From you such words mean a great honour. The place was full of butterflies because of that special plant. And I must admit I am not familiar with the writer. Now I think I must start reading Murakami. Thanks! Thank you, Usha! 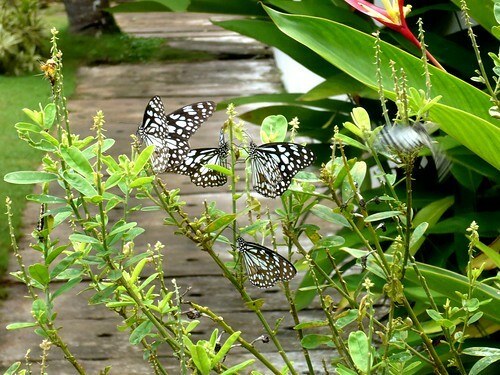 🙂 That special plant had something about them that attracted the butterflies. i like it very much…. Thank you, Abin. Glad you liked it, and welcome to this blog. I love these photos, and the quotes too! Shame on Mr. Emerson; he could scarcely imagine how often future generations would be quoting many of the things he said or wrote himself! Lovely blog, a real boost to my spirits! Thank you, Julia! Glad to know you liked them. Thank you, Dilip, for your kind words! Yeah, that quote was so sweet and simple. Just loved it. Loved those pictures of the butterflies in your garden – Googled for the name but haven’t been able to nail it yet. Am not as good with butterflies as I am with birds. 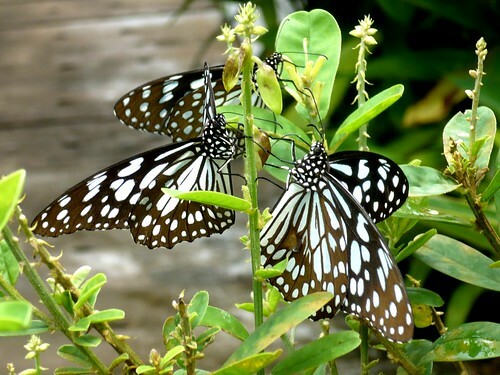 Any idea what species these butterflies belong to? Thank you, Jayadev! 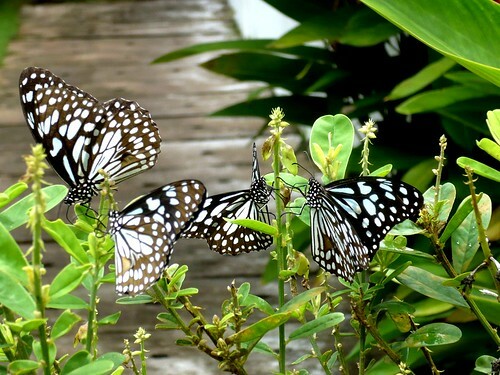 I wish I had a garden and those butterflies were my visitors! They were captured during our last vacation during a trip to a resort at Alappuzha. Very bad at names. But now I am curious. I am an avid birder – love the outdoors and nature – but am not as good with butterflies and moths as I am with bird names. Are there enough birds left for birdwatching these days- I wonder…. Continuing from my previous comment … I think it is one of the Tigers. Blue Tiger? Must be. I found similar images. Not an apt name for such gentle creatures, eh? 🙂 Thanks a lot for letting me know. 🙂 It’s got to do with the stripes, I guess. Those are beautiful captures Bindu. Thak you, dear! Hope life’s great there. And of course the lovely butterfly pictures! I think that butterflies are so beautiful because they surround themselves with the beautiful flowers and not worry at all. they must be believing that they are flowers themselves and as their belief was so strong they turned into self propelled flowers. What a sweet way of putting it! Looking forward to reading some of your verse. You are prompt! Thank you! Until I came across the plant I believed butterflies are attracted to the plants because of their flowers. But these plants had no attractive flowers and yet they were crowded. 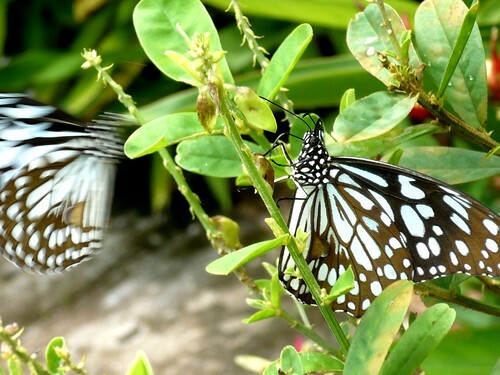 Yes, tiger butterflies – someone had pointed it out to me.